The Melbourne International Coffee Expo (MICE) is the largest dedicated coffee industry event in the Southern Hemisphere. The show is a destination for coffee lovers across the planet, to keep abreast of the latest developments, with Australia serving as a beacon for the global specialty coffee industry. The event regularly welcomes more than 120 exhibitors, featuring the latest in espresso equipment, coffee brewing devices, exotic and expensive coffee beans, roasting equipment, and more. Over 9,000 people attend the event, including café owners, coffee roasters, and coffee lovers. MEGATRANS is Australia’s first business-to-business international trade and conferencing event for the logistics, materials handling and freight industry. Held at the Melbourne Convention and Exhibition Centre, MEGATRANS takes up all 20 bays in the venue, with an anticipated 500+ national and international exhibitors expected to showcase their products, technology and services. It will attract visitation to the expo and conferences from around the nation and the globe and will be a major event for the logistics, materials handling and freight industry worldwide. 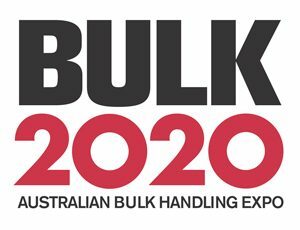 BULK2020 will showcase the bulk handling industry as a standalone exhibition with the benefit of co-location with MEGATRANS2020, which integrates intrinsically with the logistics and multimodal freight sector and is supported by the Australian Society for Bulk Solids Handling (ASBSH), who will host an industry conference, will the trade expo will showcase the latest in bulk materials handling equipment and technologies. BULK2020 is designed for businesses who are bulk commodity producers and require the use of equipment for the movement of bulk goods, either domestically or internationally. The Manufacturers’ Monthly Endeavour Awards is Australia’s premier national awards program for manufacturing excellence. The awards recognise the essential role manufacturing plays in Australia’s economy. The Endeavour Awards are the only national awards specifically for the nation’s manufacturing industry. They celebrate and recognise the achievements of industry leaders in their drive to achieve best practice and excellence. The Women in Industry Awards recognise and reward the achievements of women working within the mining, engineering, transport and manufacturing industries, and aims to raise the profile of women within industry, as well as promote and encourage excellence. Australian Mining, PACE, Manufacturers’ Monthly, Logistics & Materials Handling and Prime Mover magazines are partnering to acknowledge the exceptional women who have achieved success through their invaluable leadership, innovation and commitment to their respective sectors. 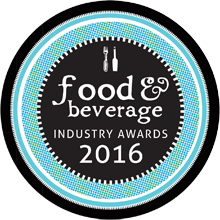 The Food & Beverage Industry Awards celebrate the food manufacturing industry’s many and diverse successes. The awards recognise the commitment of food manufacturers to the wider community and the environment. The awards further celebrate products and their manufacturers for continuing to innovate and respond to consumer demands, despite the challenges industry members face today. The awards have become the most highly anticipated event in the industry’s calendar. They celebrate product development, and provide an invaluable networking opportunity for attendees. The PACE Zenith Awards celebrate the process control and automation industry’s many and diverse successes. There have been well over 1,000 finalists during the history of the PACE Zenith Awards. It is a unique opportunity for companies and team members to be recognised for their innovations and contributions to Australian engineering. Launched in 2004, the annual Australian Mining Prospect Awards is the most esteemed and prestigious awards program for the mining and minerals processing industry in Australia. The awards allow companies and individuals to raise their profile, be awarded for their achievements, join a network of exceptional individuals and be seen by the professionals in the mining industry. 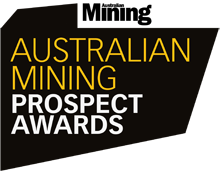 The Australian Mining Prospect Awards champion a safe, sustainable and more productive industry. The Logistics & Materials Handling Mercury Awards recognise the outstanding achievements and successes of companies across the logistics, supply chain and materials handling sectors. The awards allow companies and individuals to raise their profile, be awarded for their achievements, join a network of exceptional individuals and be seen by the professionals in the logistics, materials handling and freight industries. The Australian Bulk Handling Awards are the only Awards program for the bulk solids handling industry. The Awards gala dinner is an opportunity to acknowledge and celebrate the outstanding achievements and successes of companies and individuals that have demonstrated innovative practices and superior performances across the year. 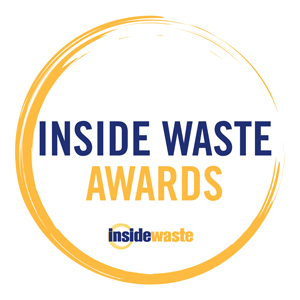 Held in partnership with the Waste Management Association of Australia (WMAA), the Waste and Resource Recovery Awards is the premier awards program for anyone working within the waste and resources recovery sector. 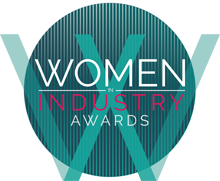 The Women in Industry Conference was created to complement the Women in Industry Awards. The Conference features female business leaders from across the road transport, mining, engineering and manufacturing industries, and includes ‘deep dive’ sessions to delve further into issues affecting each individual industry. The Conference provides a fantastic networking opportunity across industries for attendees. Held in partnership with ARTSA, the Global Leaders Summit welcomes the industry’s input to discuss pressing issues affecting the truck, trailer and parts industry. The summit brings together road transport’s most influential voices in an exclusive setting to discuss the key disruptors and innovation challenges that will fundamentally change the international heavy vehicle industry over the next decade. 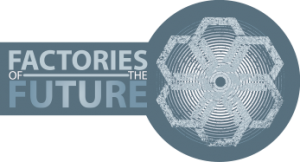 Factories of the Future covers themes such as the decoupling of manufacturing from design, the growing influence of the cloud, and what an increasingly connected world might offer. The seminar welcomes the industry’s most prominent personalities to this knowledge sharing and networking event. Connect is an exclusive invitation-only event, targeting senior managers with specific interests in improving efficiencies and productivity. The event format is structured around a series of rotating discussion tables of up to eight delegates that focus on key themes nominated by attendees and sponsor partners. The format provides the opportunity for in-depth engagement, demonstrating thought leadership and understanding your target market’s concerns and challenges. Mining Connect is an exclusive invitation-only event, targeting senior operational and technical mine and minerals processing managers with specific interests in improving efficiencies and productivity on mine sites. The event format is structured around a series of rotating discussion tables of up to eight delegates that focus on key themes nominated by attendees and sponsor partners. The format provides the opportunity for in-depth engagement, demonstrating thought leadership and understanding your target market’s concerns and challenges. Manufacturers’ Monthly introduces the Manufacturing Leaders of Innovation series. Designed to connect leading Australian manufacturers, this series will bring together the innovators and forward thinkers of our industry to discuss how innovation can be used in the here and now. Each instalment will feature a leading Australian manufacturer, who will share their keys to success when it comes to utilising innovation within their business.